AfriSam’s Jukskei Quarry in Midrand has cracked the problem of returned concrete with an environmentally-friendly solution that even pays its own way. 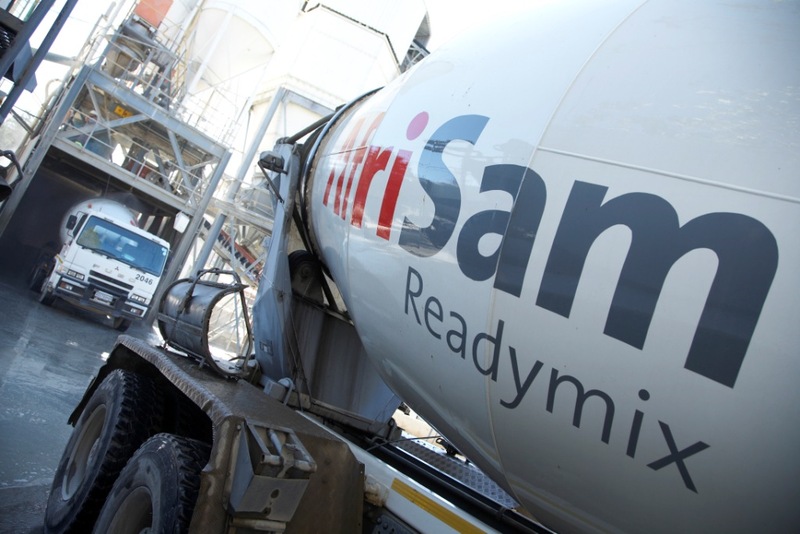 Every provider of readymix concrete must expect a certain amount of returned material as a result of unforeseen circumstances on the construction sites for which it is destined. Production superintendent at Jukskei Quarry, Mohamed Docrat, finally found a sustainable solution: to re-use the concrete in the company’s G5 sub-base product for road building. Docrat and his management team focused on the idea of adding the recycled concrete to the quarry’s G5 product as this was a product category that was permitted to contain material from multiple sources. By contrast, products within the G1 classification can only be from a single source. “Also, the process of breaking up the returned concrete generates plenty of fines, which is beneficial to the product as the class specification for G5 demands that it must comprise about 80% fines,” he says. A suitable process was devised and tested in which an excavator-mounted hydraulic hammer breaks up the dry returns into 250 to 400 mm sizes after which it is loaded by excavator into a dump truck and hauled to a secondary stockpile. The plant operators check that the material is within specification, and the blended material is then fed into a jaw crusher. The crushed material goes onto a production stockpile where it is homogenised and it’s then taken by dump truck to a set-back stockpile where it is ready for sale. In line with AfriSam’s compliance with the South African Bureau of Standards’ COLTO (Committee of Land Transport Officials) material grading specifications the G5 product containing the recycled concrete must pass all the relevant tests. The material is sampled first from the production stockpile and then fully tested – from the set-back stockpile – for compliance with the final G5 specification. According to Docrat, the final test of the idea was a trial on the Gauteng Freeway Improvement Project’s N1 extension where the contractor tried the G5 product with recycled material and confirmed it was perfectly suitable. This environmentally-friendly solution also means no slush around the Jukskei Quarry plant, less potential for contamination and a smaller carbon footprint, he says. At the same time it contributes to the recycling levels demanded by AfriSam’s stringent Environmental Management Programme.